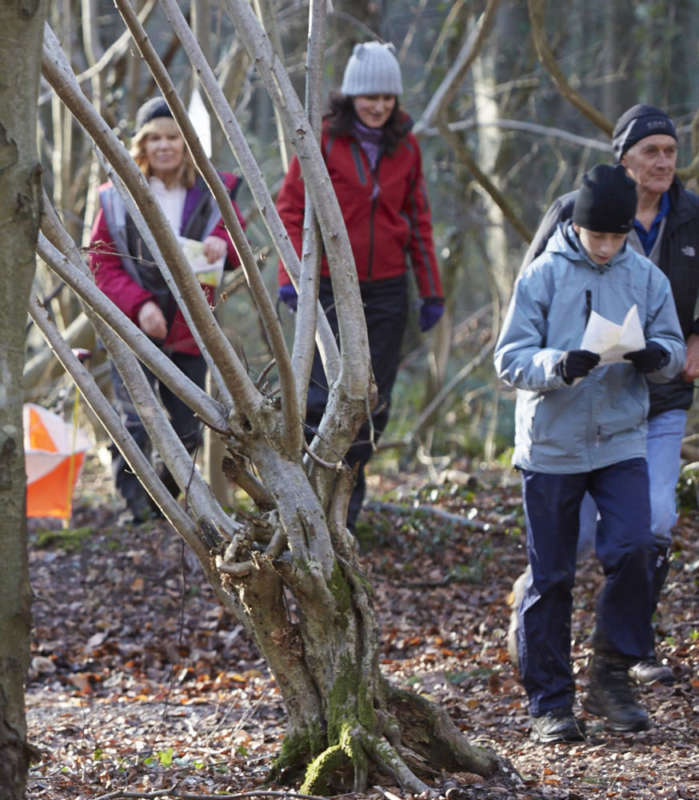 Local Southdowns Orienteers events, known as SO Gallopens (SOGS) are friendly club events where children and newcomers are very welcome. A range of courses are available to suit all levels of fitness and ability and volunteers will be happy to help get you started. Yellow and Orange courses are suitable for beginners and for children to run on their own with a bit of practice. 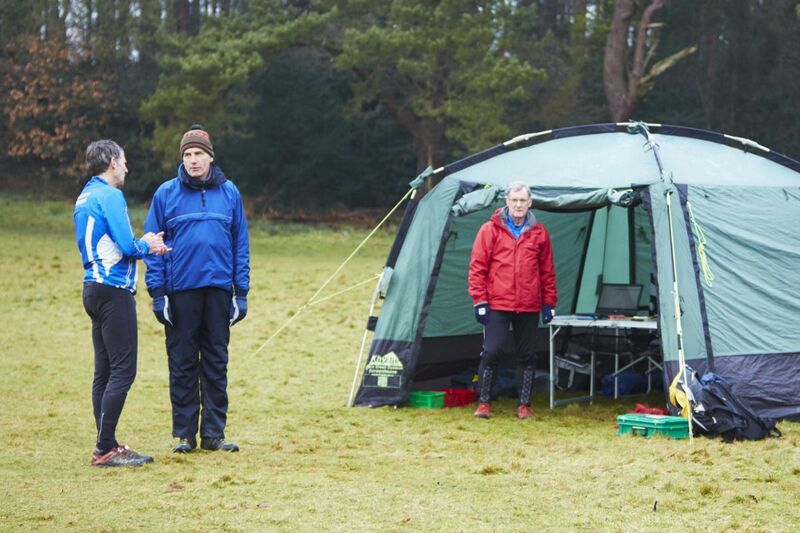 Adults are welcome to 'shadow' children until they are confident to go on their own or you can orienteer as a group. Green and Blue courses are run or walked by any age group - you can race competitively or just enjoy the woodland. Courses (approx): Yellow (1.5km), Orange (3.0km), Green (4.0km), Blue (6.0km). Technical difficulty: Easy (yellow) to hard (Blue). Fees: SO members: Seniors £4.00, Juniors free. Non members: Seniors £5.00, Juniors £2.00. Extra map: 50p. Suitable clothes for walking/running around forests or towns (full leg cover usually required), your entry fee and hire fee for a dibber. Optional extras are a compass, safety pins to attach control descriptions and a whistle for getting help in an emergency. Check the Event Details for specific information. 1. Getting there. Event details are posted on the website and contain information about travel and parking. Postcodes are not always listed, especially if the event is in a remote area, so detailed directions will be given. As you approach the event, orienteering kites or 'orienteering this way' signs are often placed on road junctions. Park as per the marshals instructions. 2. Decide which course you want to do. SOGS have Yellow, Orange, Green and Blue courses available, Yellow being the shortest and easiest, Blue being the hardest and longest course. Yellow is intended for beginners and young juniors. Orange for a confident beginner and more experienced juniors. If you are at all unsure, there are always volunteers on hand to help you decide. 3. Pay at the 'map sales' car. In return for your entry fee you'll get your course details in the form of a 'control description list' and a hire form for a 'dibber'. The volunteers will help you fill out this form (work out your orienteering age class using the table in the membership section). Beginners and young juniors can look at the map before heading out. All other course maps are collected at the start. 4. Go to the computer registration tent. Hand over your completed dibber hire form to formally enter the event. You can now head to the start. At SOGS the start and finish are usually fairly close together. 5. Clear & check your dibber. At or on the way to the start, there will be a control box on a post labelled 'Clear'. You must place your dibber in this until there is a beep and a flash, so that it's ready to use (takes about 5 secs). There will also be a 'Check' control at some point before you start. This is to ensure that your dibber has been cleared. 6. At the start. The start official will tell you when you can go. Put your dibber into the start control, pick up your map and go! Navigate around your course in the sequence on your control description list. At each control (marked by an orange and white flag) place your dibber in the box until it beeps/flashes to register that you've been there. 7. At the finish. Put your dibber into the finish control and head back to the registration tent to 'download' the information stored on your dibber. You'll get a printout of your 'splits' with details of the next few events printed along the bottom. You must report to download even if you don't complete your course. 8. Results. Live results are usually available on a screen in the registration tent and on the Results Page on the club website later that day. Orienteers love maps and will happily go over your course with you after you've run! Come along to one of our monthly coaching sessions to pick up some top tips. Check the Events page for future Southdowns orienteering events. SOG Spring and Autumn Leagues. There are two series of events - the autumn and spring leagues, of approximately 10 events each. Points are awarded depending on where you come in each race and certificates given out at the end of the season. Keep track of your league position here.